Applications to the 2019 Toronto Summer Music Community Academy are now open! Are you an avid amateur musician looking for an opportunity to connect with other musicians who share your passion? Apply to the TSM Community Academy, where you can hone your skills and spend a fun week with the artists of the Toronto Summer Music Festival. You’ll enjoy access to all mainstage TSM Festival Concerts and events (July 29 – August 3), as well as the opportunity to perform onstage at Walter Hall. The TSM Community Academy takes place at the Edward Johnson Building, Faculty of Music, University of Toronto. 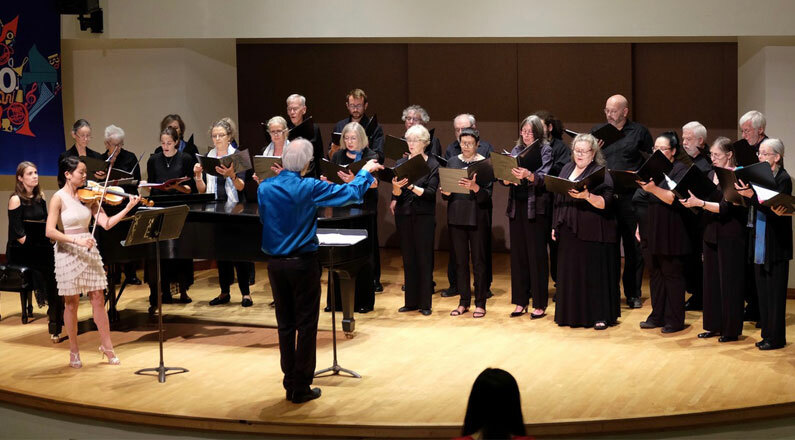 The Chamber Choir is a chance to refresh vocal skills and study inspiring works of choral literature in the intimacy of a chamber vocal ensemble. Spend a week singing and rehearsing with acclaimed choral conductor, virtuoso recorder player and composer, Matthias Maute. Aside from daily choir rehearsals, you'll have the opportunity to enjoy sectionals with various vocal coaches as well as TSM's Morning Chorale, a time for participants from all Community Academy programs to gather together and sing under Matthias’ direction. The week will culminate with a performance in Walter Hall on the final day of the Festival. The Chamber Music program is the perfect place for instrumental amateurs seeking a high-level music-making experience. Participants are placed in ensembles with professional musicians for a week of intensive rehearsing, coachings, and camaraderie. This program is open to strings, winds, brass, and pianists (both individuals and pre-formed ensembles are welcome to apply). Participants will be notified of their assigned repertoire and groups at the end of May. The Piano Masterclass is a chance to improve your skills and explore the limitless repertoire for solo piano with daily masterclasses and individual lessons. Spend an exciting week studying repertoire of your choice with distinguished pianists Angela Park and Philip Chiu! The Bass Workshop is a new addition to the TSM Community Academy. 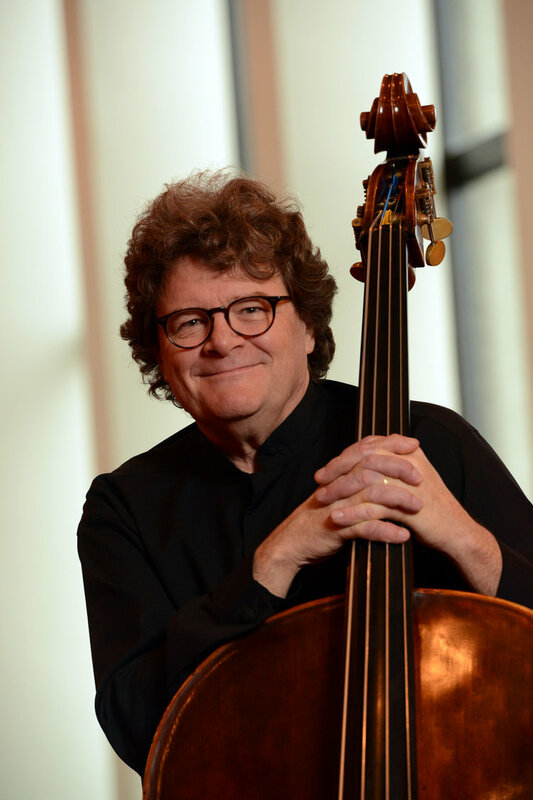 Spend a fun week of music making with internationally renowned bassist Joel Quarrington. Aside from working on orchestral and solo repertoire with a focus on left hand applications, you'll have the opportunity to connect and chat with Joel on all things bass! Bonus: As part of the class, you will receive a downloadable PDF of Joel's ebook, "The Canadian School of the Double Bass"
Matthias Maute has carved out an impressive international reputation for himself not only as one of the great recorder and baroque flute virtuosos of his generation but also as a composer and conductor. Since winning first prize in the soloist category at the prestigious Bruges Early Music Competition in 1990, he has led a highly successful career as a recorder and baroque flute soloist. He made his debut in New York’s Lincoln Center in 2008 and has twice been the featured soloist for the Boston Early Music Festival. He records and tours extensively. The Washington Post hailed him as one of the greatest recorder players on the North American musical scene. Since 25 years, Matthias concertizes as member of the New York based ensemble REBEL in North America and Europe. He has been invited to perform as guest soloist or conductor by the world’s most eminent baroque orchestras, including: Seattle Baroque, the Portland Baroque Orchestra, the Cleveland Baroque Orchestra, “Apollo’s Fire” and the Magnificat Baroque Ensemble. In recent years he has also been invited to conduct other renowned orchestras, including I Musici de Montreal and Symphony of Nova Scotia. Matthias Maute is also celebrated for his work as artistic director and conductor of Ensemble Caprice. In this capacity he is known for creating and leading ingenious and captivatingly original programmes. 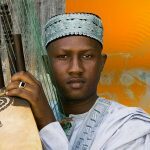 He tours extensively with the ensemble, being regularly invited to take part in prestigious festivals around the globe. In Canada, the group can be heard at the Ottawa International Chamber Music Festival, the Festival international du Domaine Forget, Early Music Vancouver, Early Music Voices in Calgary and the Elora Festival in Ontario. Under his direction, Ensemble Caprice was granted an esteemed JUNO award in 2009 for best vocal/choral classical music album of the year (for its CD Gloria! Vivaldi and his Angels on the Analekta label). Matthias Maute’s compositions are highly regarded and have been published by Breitkopf & Härtel, Amadeus, Moeck, and Carus. He has some thirty recordings to his credit on the Analekta, Vanguard Clasics, Bella Musica, Dorian, Bridge and ATMA Classique labels. 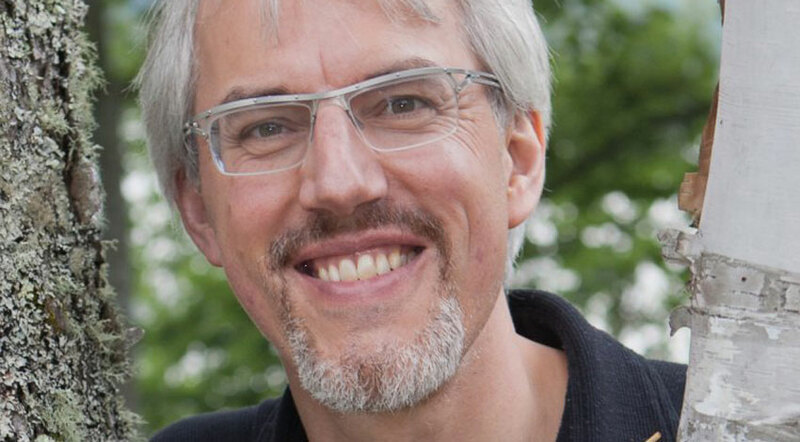 Matthias Maute teaches at McGill University’s Schulich School of Music and at the Faculty of Music of the Université de Montréal. Vocal coaches will be announced in the spring. Canadian violinist Aaron Schwebel has performed throughout the world in various musical roles. Based in his native Toronto, Aaron currently holds the positions of Concertmaster with the National Ballet of Canada Orchestra and Associate Concertmaster with the Canadian Opera Company. 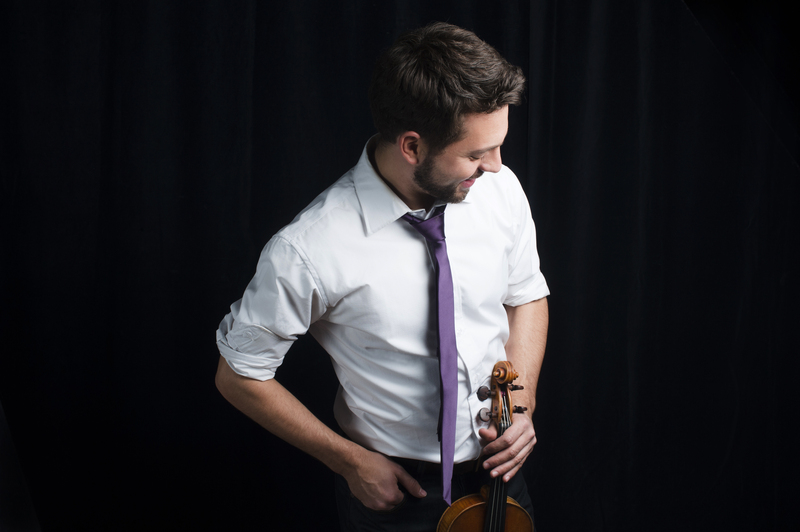 As a guest concertmaster, Aaron has performed with the National Arts Centre Orchestra, Les Violons Du Roy, the Hamilton Philharmonic Orchestra, Kitchener-Waterloo Symphony, and Orchestra London.Aaron has performed as a soloist with the Toronto Symphony Orchestra, Sinfonia Lanaudiere, the National Ballet of Canada Orchestra, and McGill Symphony Orchestra. An active chamber music performer, he is a founding member of the Toronto-based Penrose Trio, LARK ensemble, and Rosebud Quartet, and has been on faculty at Toronto Summer Music Festival and Klezkanada. He has been invited to take part in Ottawa Chamberfest, Montreal Chamber Music Festival, Music By The Sea in Bamfield, British Columbia, and the Rosebud Chamber Music Festival. Aaron is grateful to be playing on a 1753 Joannes Baptista Guadagnini violin, on loan to him from the Canada Council for the Arts Instrument Bank.Aaron did his studies at McGill University and Indiana University with teachers Jonathan Crow, Yaela Hertz, Mauricio Fuks, and Andre Roy. As a student, Aaron was a member of the Roddick String Quartet, representing Canada at the London International String Quartet Competition, and the Kuttner Quartet, Indiana’s resident string quartet. Upon graduation from McGill, Aaron was awarded the Schulich School of Music’s Golden Violin Award. 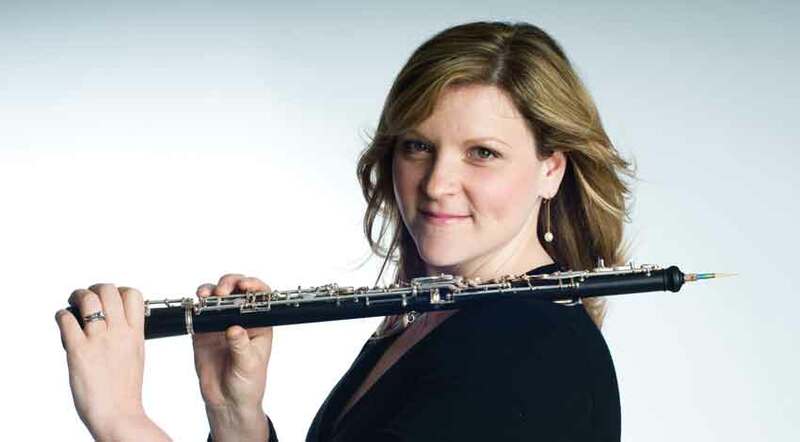 Hailed by critics for her “exquisite solo work” (The Globe and Mail), “luscious tone” (Toronto Star), and her sensitive musicianship, Sarah Jeffrey is Principal Oboe of the Toronto Symphony Orchestra. A regular soloist with the TSO, Sarah has also appeared as soloist with numerous orchestras across Canada, performing works by Bach, Mozart, Vaughan Williams, Marcello, Haydn, and Mozetich. She is also an active recitalist and chamber musician, making frequent guest appearances with the Amici Chamber Ensemble, the ARC Ensemble, and Trio Arkel. 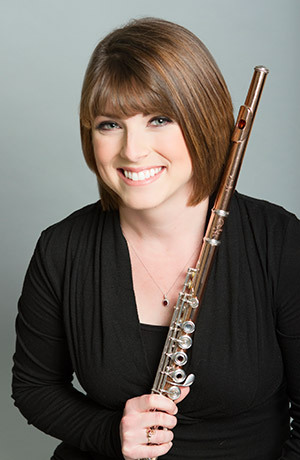 A devoted performer of new music, Ms. Jeffrey has commissioned several chamber works, including Chaconne for Oboe, Horn, and Piano by Erik Ross, and Rhapsody by Ronald Royer. Ms. Jeffrey is a recipient of the Ontario Arts Council’s Chalmers Award for Creativity and Excellence in the Arts, and teaches regularly at Canada’s finest music schools. A passionate and devoted teacher, Sarah is on faculty at The Glenn Gould School at The Royal Conservatory and the University of Toronto, and spends her summers at the Orford Arts Centre and the National Youth Orchestra of Canada. She can be heard discussing the finer points of the oboe on CBC radio, both as a performer and as a guest on several podcasts. Sarah shares her life with her husband, TSO horn Gabriel Radford, their two children Evelyn and Aidan, and Jack the cat. In her spare time, Sarah enjoys travelling, cooking, swimming in cold lakes, hiking, and of course, the art of reed making. 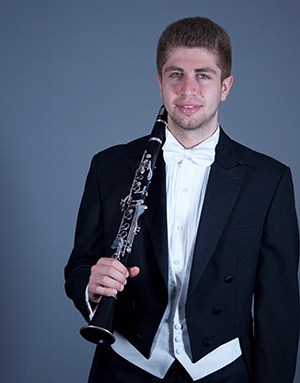 Eric Abramovitz joined the Toronto Symphony Orchestra in 2018 as Associate Principal and E-flat Clarinet, and was previously a member of the Nashville Symphony Orchestra. Eric was named the Vandoren Emerging Artist of the year in 2017, and a CBC Next! artist in 2013. A first-prize winner at the OSM Standard Life Competition in 2011, Eric has been featured as a soloist with numerous orchestras including the McGill and USC Symphonies, l’Orchestre symphonique de Québec, and the National Arts Centre Orchestra. Eric was a Sylva Gelber Career Grant recipient in 2016, and toured throughout Japan with the New York Symphonic Ensemble. 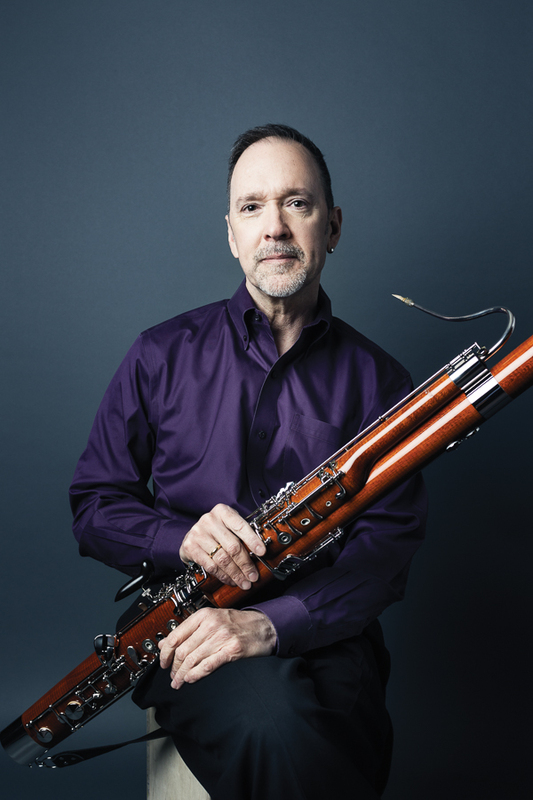 Michael Sweeney has served as Principal Bassoonist of the Toronto Symphony Orchestra since 1989. Over the years, critics have frequently praised his orchestral solos, characterizing them as “soulful” and “imaginative” (The Globe and Mail), and “superb” and “gorgeous” (National Post). As a chamber musician, Michael Sweeney has collaborated with pianists Emanuel Ax, Ingrid Fliter, Angela Hewitt, James Parker, and Patricia Parr, oboist Cynthia Steljes of Quartetto Gelato, and with Via Salzburg, Amici Chamber Ensemble, and the Ottawa International Chamber Music Festival. He was a founding member of Caliban (a quartet of bassoonists) and can be heard on their highly acclaimed début CD, Bassoonatics! In addition to performing, Mr. Sweeney is also interested in music history, especially research on Mozart’s music and life. He is currently at work on a commentary which will accompany his recent critical/performing edition of Mozart’s Bassoon Concerto. Prior to joining the TSO, Mr. Sweeney attended state universities in California and New York, the Yale School of Music, and the University of Southern California, studying bassoon with Kay Brightman, Arthur Weisberg, and Norman Herzberg. He also studied musicianship with Joan Panetti at Yale. Between the completion of his formal education and joining the TSO, he was Principal Bassoon of the South Dakota Symphony Orchestra for two seasons. Michael Sweeney is married to Peter Eliot Weiss, who is a playwright. Gabriel was born and raised in Toronto, Canada. He is currently Third Horn of the Toronto Symphony Orchestra, a position he has held since 2002. 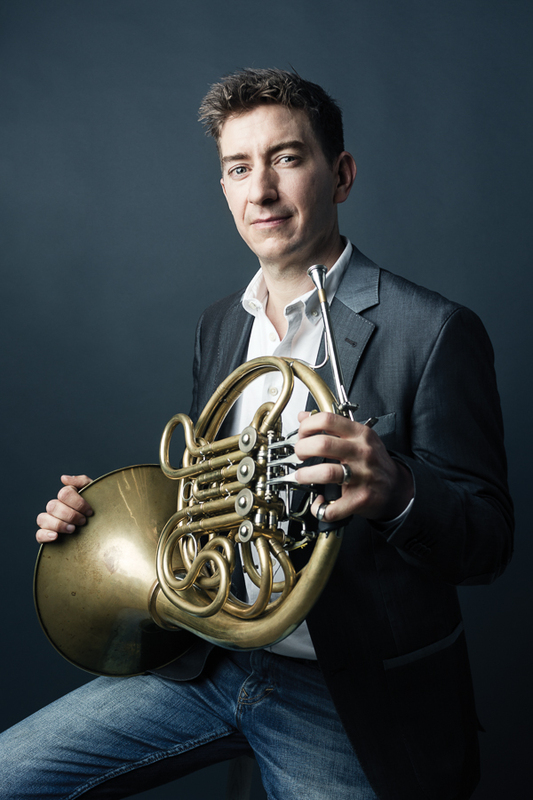 Prior to joining the TSO, Gabriel was Associate Principal Horn of the Winnipeg Symphony Orchestra. 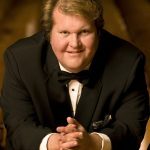 Over the course of his career, Gabriel has played with many orchestras, including several guest appearances and Carnegie Hall performances with the Boston Symphony Orchestra and Les Violons du Roy. He has also played with the National Arts Centre Orchestra, the Kirov Orchestra, l’Orchestre Symphonique de Quebec, and many others. Recent chamber music highlights include commissioning and performing “Chaconne” for Horn, Oboe and Piano by Toronto composer Erik Ross, a solo appearance with the Evergreen Gamelan Ensemble, and performances of the Brahms Trio, the Reinecke Trio, and the Schubert Octet. Gabriel is a devoted teacher who currently coaches a full studio of students at the University of Toronto, and is a member of the faculty at the National Youth Orchestra of Canada. He has given lectures and masterclasses at the University of Lethbridge, University of Toronto, Glenn Gould Professional School, University of Manitoba, and others. Gabriel has also spent several summers teaching in the Masterclass programme at the Banff Centre for the Arts. In 2011, Gabriel was honoured to adjudicate auditions for the first-ever YouTube Symphony Orchestra. In July 2012, he was awarded the Queen Elizabeth II Diamond Jubilee Medal for his work fundraising, mentoring, coaching, and teaching at the National Youth Orchestra of Canada. Gabriel is married to, and has two children with, Sarah Jeffrey, Principal Oboist of the Toronto Symphony Orchestra. 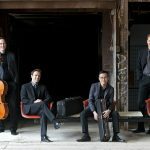 Ensemble Made In Canada is rapidly gaining recognition as Canada’s premier piano quartet. Awarded the 2006 CBC Galaxie Stars Award from the Banff Centre for the Arts, EMIC was featured in 2008 Chatelaine Magazine’s 80th anniversary issue as “Women to Watch” and an ensemble that is leading the next generation of classical musicians. The members of the group have been forging outstanding individual careers and bring together a wealth of experience having already appeared at prestigious festivals such as Marlboro, Ravinia, Orford, Verbier, Prussia Cove, Pablo Casals and Evian. EMIC has performed for Winnipeg Virtuosi, Montreal Pro Musica, SUNY New Paltz, Stratford Music Festival, Ottawa Chamberfest, Parry Sound Festival of the Sound, Jeffery Chamber Music Series, Lindsay Concert Productions, Almonte in Concert, Women’s Musical Club of Toronto, Kawartha Concerts, including multiple work cycles for the Kitchener-Waterloo Chamber Music Soceity. 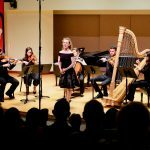 EMIC has provided master classes, chamber music coachings, and lectures at universities across Canada and in the United States and have also participated in outreach programs for public schools in Ontario. The group is grateful for support from FACTOR, the Canada Council for the Arts and the Ontario Arts Council. EMIC has been Ensemble-in-Residence at Western University since 2014. Winner of the 23rd Eckhardt-Gramatté Strings Competition, Elissa Lee has appeared as a soloist with top orchestras across Canada. She has held positions as second concertmaster in both the Oslo Philharmonic Orchestraand the WDR Sinfonie Orchester. Now enjoying a busy freelance career, Elissa tours frequently the greatest concerts halls and festivals in Europe. She has performed as Concertmaster with the Rundfunk Orchester München, the Swedish Radio Orchestra, the KlangVerwaltung Orchestra in Munich, and Festival Strings Luzern, and in leading positions with the Mahler Chamber Orchestra, the Komische Oper Berlin, the Stockholm Philharmonic Orchestra and Luxembourg Philhamonic and the Canadian Opera Company. She has also been a guest of world renowned Chamber of Orchestra of Europe, and the Berlin Philharmonic Orchestra and has worked under the baton of Claudio Abaddo, Simon Rattle, Nikolaus Harnoncourt, Bernard Haitink and Daniel Harding. As a chamber musician she has performed with Louie Lortie, Augustin Dumay, Anton Kuerti, Pascal Devoyon, Kevin Fitzgerald, Lawrence Lesser, and Shauna Rolston and has been a frequent participant of Open Chamber Music in Prussia Cove, England. Elissa Lee joined Ensemble Made In Canada in 2010, which performs concerts and tours throughout Canada and the United States. Sharon Wei is a dynamic and varied musician, establishing herself as one of the most respected violists on the scene today. She has appeared as soloist, chamber musician, and guest principal violist throughout North America and Europe. She has collaborated with conductors such as James Levine, Kent Nagano, Paavo Järvi, Zubin Mehta, and Yuri Termirkanov; Sharon has also shared the stage with Lynn Harrell, Gary Hoffman, Lawrence Lesser, Peter Frankl, Joseph Silverstein, Jonathan Crow, Mark Fewer, Joel Quarrington, James Campbell, James Sommerville and the St. Lawrence String Quartet. 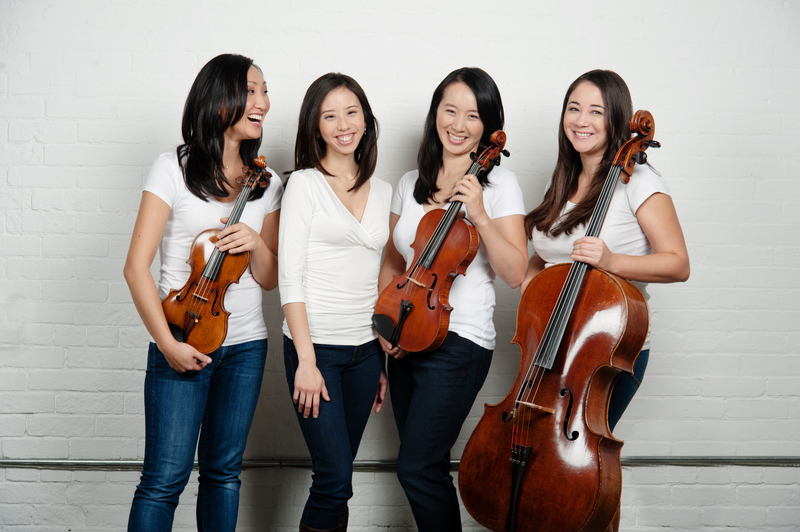 In 2006, Sharon and pianist Angela Park co-founded Ensemble Made in Canada, which includes violinist Elissa Lee and cellist Rachel Mercer. Ensemble Made in Canada performs in various configurations: sonatas, duos, and quartet repertoire. The group has commissioned and premiered works by American composer John B. Hedges and Canadian composers John Burge and Christopher Mayo. Upcoming commissions include works by Canadian composers David Myska and Omar Daniel. EMIC begins as Ensemble-in-Residence at Western University in London, Ontario, starting September 2014. Independently of EMIC, Sharon’s other commissions include a work by American composer Harold Meltzer, who wrote a double concerto for Sharon and violinist Scott St. John. Sharon has given masterclasses throughout China, the US, and Canada. She was on the faculty at Yale University and Stanford University and began her appointment as Assistant Professor of Viola at Western University in 2014. Sharon created a course for performance majors in which students learn important off-stage initiatives such as networking, grant writing, website design, and managing finances. Rare time away from the viola is spent on Bikram yoga (done in 12 cities and counting), hiking, playing Settlers of Catan, and seeking out macaron shops. Described as a “pure chamber musician” (Globe and Mail) creating “moments of pure magic” (Toronto Star), Canadian cellist Rachel Mercer has appeared as a soloist and chamber musician across five continents. Grand prize winner of the 2001 Vriendenkrans Competition in Amsterdam, Rachel is cellist of Ensemble Made In Canada, the Mercer-Park Duo, the AYR Trio, and is Artistic Director of the “5 at the First” Chamber Music Series in Hamilton. 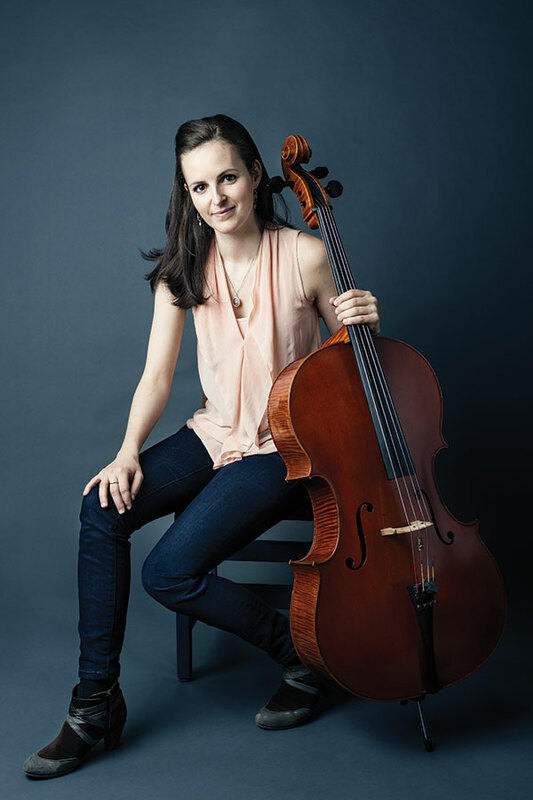 She has appeared as guest principal cello with the Canadian Opera Company, National Arts Centre, Group of 27 and Munich Chamber orchestras, and joined the National Arts Centre Orchestra as Associate Principal Cello in January 2016, winning the Principal chair in 2017. Rachel has given masterclasses across North America, South Africa and in Israel and is currently Artist-in-Residence at Western University in London ON. An advocate for new Canadian music, Rachel has commissioned and premiered works including a cello concerto by Kevin Lau, solo work by Andrew Downing and chamber music by Abigail Richardson-Schulte, William Rowson, John Burge and Omar Daniel. Rachel can be heard on the Naxos, Naxos Canadian Classics, Centrediscs, Dalia Classics and EnT-T record labels, and released a critically acclaimed album of the Bach Suites on Pipistrelle in March 2014, recorded on the 1696 Bonjour Stradivarius Cello from the Canada Council for the Arts Musical Instrument Bank. Winner in the 2015 Canada Council Instrument Bank competition, Rachel is grateful to have been awarded the 1730 Newland Joannes Franciscus Celoniatus cello until August 2018. 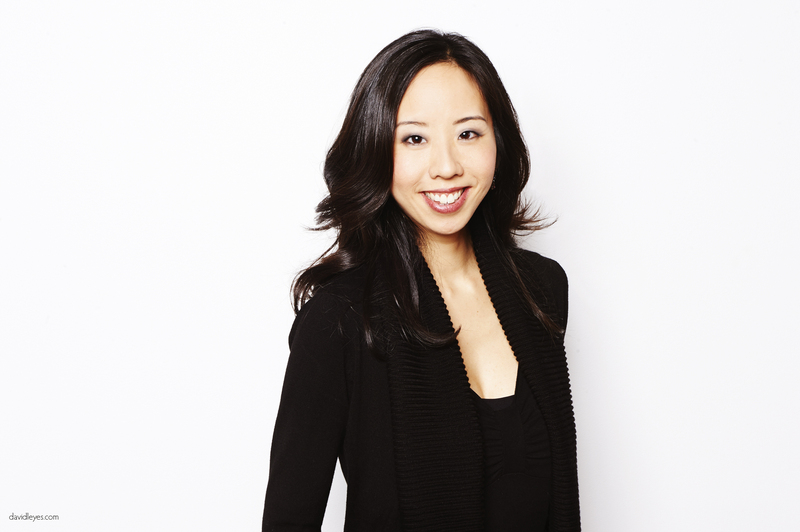 Pianist Angela Park has established herself as one of Canada’s most sought-after pianists. Praised for her “stunningly beautiful pianism” (Grace Welsh Prize, Chicago), “beautiful tone and sensitivity” (American Record Guide), and for performing “with such brilliant clarity it took your breath away” (Chapala, Mexico), Angela’s versatility as both soloist and chamber musician has led to acclaimed performances across Canada, as well as in the United States, Europe, Japan, and Mexico. Angela has performed for such series as Montreal’s Pro Musica, Ottawa Chamberfest, Parry Sound’s Festival of the Sound, Winnipeg Virtuosi, Debut Atlantic and Prairie Debut Tours, CBC Onstage, Orchestra London Canada, Sinfonia Toronto, Stratford Symphony, and the Northern Lights Music Festival in Mexico. She is a founding member of the award-winning Ensemble Made In Canada, the Mercer-Park Duo with cellist Rachel Mercer, and the AYR Trio with violinist Yehonatan Berick and cellist Rachel Mercer. Highlights from recent and upcoming seasons include concerto performances with Sinfonia Toronto, solo recital for the Piano Bravura series in Toronto, live concert recording of the Suites Hebraiques by Srul Irving Glick with James Campbell, Cameron Crozman, Wallace Halladay, Elissa Lee, Barry Shiffman, and Sharon Wei, tours across Canada with Ensemble Made In Canada, US tours with Lyrica Baroque, performances with Martin Beaver and members of the St. Lawrence String Quartet for the Toronto Summer Music Festival 2017. Angela’s discography includes solo piano recordings, a recording with oboist Linda Strommen, a debut album as well as all-Canadian recording with cellist Rachel Mercer, and two recordings with Ensemble Made In Canada. 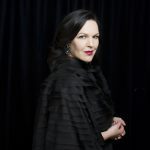 She has recorded for such labels as Centrediscs, NAXOS Canadian Classics, and Enharmonic Records. Angela has won numerous awards and prizes in major competitions both at home and abroad, including the International Grace Welsh Prize for Piano in Chicago, World Piano Competition in Cincinnati, Canadian National Music Festival, Honens International Piano Competition, and the Maria Canals International Piano Competition in Barcelona. Angela earned her MMus at the University of Toronto, and her DMA in Piano Performance from the Université de Montréal. Her main mentors and influential teachers include William Aide, James Anagnoson, Paul Stewart, and Jacob Lateiner. From 2011-2014, Angela was Visiting Assistant Professor of Collaborative Piano-Woodwinds at Indiana University’s Jacobs School of Music. She has given masterclasses and educational outreach sessions for universities and communities across Canada, as well as at SUNY New Paltz, Stanford, and Indiana University in the United States. Since 2014, Ensemble Made In Canada has been Ensemble in Residence at Western University in London, Ontario. Angela currently resides in Toronto, Canada. Noted by La Presse as “...a pianist-painter who turns every musical idea into a beautiful array of colors”, Philip Chiu is lauded for the brilliance, colour and sensitivity of his playing, and is particularly noted for his ability to connect with audiences on and off stage. Inaugural winner of the 2015 Prix Goyer, he is more than a summation of technical and musical abilities, he has become one of Canada’s leading musicians through his infectious love of music and his passion for communication and collaboration. Mr. Chiu has developed a new program for solo piano and multimedia called Of Church & State which premiered in the 2017/2018. Working closely with the Noncerto group in Montreal, his program pairs solo piano performance with stunning videos of Quebec's beautiful churches and delivers a poignant musical commentary on how nationalism and religion have influenced composers, musicians, and ultimately ourselves. A second program Stories & Legends, featuring Ravel’s Mother Goose Suite and Schubert’s Wanderer Fantasy, featured in his Toronto recital debut for Music Toronto. He also continues to concertize extensively as a chamber musician. He has appeared in recitals with leading musicians of the world stage, including James Ehnes, Raphael Wallfisch, Patrice Fontanarosa, Regis Pasquier and Stefan Dohr. He performs regularly with Jonathan Crow, concertmaster of the Toronto Symphony as well as Andrew Wan, co-concertmaster of l’Orchestre Symphonique de Montréal. He tours regularly with premier touring organizations, Jeunesses Musicales Canada, Debut Atlantic, and Prairie Debut. Dedicated to elevating the standard and art of collaborative piano, Mr. Chiu is the creator and director of the new Collaborative Piano Program at the Domaine Forget International Festival and Academy. He is an acclaimed accompanist and piano coach based at McGill University, has been an invited professor and collaborator for the Conservatoire de musique de Montréal and l’Université de Montréal. Philip is extremely grateful for the support of the Sylva Gelber Music Foundation, Canada Council for the Arts and Jeunesses Musicales in his various pursuits. He can be heard/seen on BBC Radio 3, Australia’s ABC Radio, Classical 96.3 FM, CBC Radio and Radio-Canada. Philip is represented by Andrew Kwan Artists Management. Born in Toronto, Joel Quarrington began his formal studies of the double bass when he was thirteen. Upon graduation from the University of Toronto, he was awarded the “Eaton Scholarship” as the school’s most outstanding graduate. Joel is a winner of the Geneva International Competition and the CBC Talent Competition, and has made solo appearances across Canada, the United States, Europe and China. Joel teaches in the summers at the Orford Arts Centre in Quebec’s beautiful Eastern Townships where his master classes have attracted players from around the world. He also teaches at the University of Ottawa and at the Royal Academy of Music in London where he is a “Visiting Artist”. In April of 2005 he had the honour of playing the world premier John Harbison’s Concerto for Bass with the Toronto Symphony and conductor Hugh Wolf. Joel has made several solo recordings that have made him famous at least in the bass world. His early Bottesini recordings on the NAXOS label are considered by many to be definitive. In April 2010, his recording, “Garden Scene”, won the 2010 Juno Award for Best Classical Recording. It was released by the Analekta label and features music of Korngold, Gliere, M.Weinberg, J.C. Bach and Bottesini. June 2013 marked the release of his most recent recording “Brothers in Brahms”, which features music of Robert Fuchs, Robert Schumann and the 1st Violin Sonata in G op.78 by Johannes Brahms. He was very happy to collaborate with the remarkable young Canadian pianist, David Jalbert for this project and in February 2015 this recording won the prestigious “Prix Opus” as the Outstanding Romantic Classical Recording of the year in Quebec. In 2011, he received a Special Recognition Award for Outstanding Solo Performance from the International Society of Bassists and in 2015 they awarded Joel the same award for Outstanding Orchestral Performance. He performs on an Italian bass made in 1608 by the Italian master, Giovanni Paolo Maggini and is an enthusiastic advocate of the historical practice of tuning the bass in fifths (CGDA, an octave lower than the cello) rather than the customary fourths. He believes fifths tuning leads to clearer and more accurate performance in all ranges of the bass, as well as greater tonal richness. Applicants must be over 18 years of age. This program is intended for advanced amateurs* intent on improving their skills with a rigorous daily schedule of rehearsals, coachings, and masterclasses. *The Community Academy is geared towards adult amateur musicians and is not recommended for students currently enrolled in a music degree at a university/college. *HST will be added to the tuition fee at time of purchase. BONUS: Introduce a friend to apply to the Community Academy, and receive a pair of complimentary tickets. The application and tuition fees are non-refundable. Tuition fees include Community Academy program plus tickets to all TSM Festival concerts July 29 to August 3 upon request ($250 value) and daily lunch. Tuition does not include breakfast/dinner, lodging, or travel. All tuition must be paid in full by June 3, 2019. Participants can withdraw up until June 17, 2019, and receive a 50% refund of the full tuition fee. Participants withdrawing after June 17, 2019 are not eligible for any refund.